While most cardiac procedures are done by cardiologists, CT and MRI are typically a joint effort between Radiology and Cardiology physicians and departments. EncaptureMD produces IAC-compliant CT and MRI reports with ease. 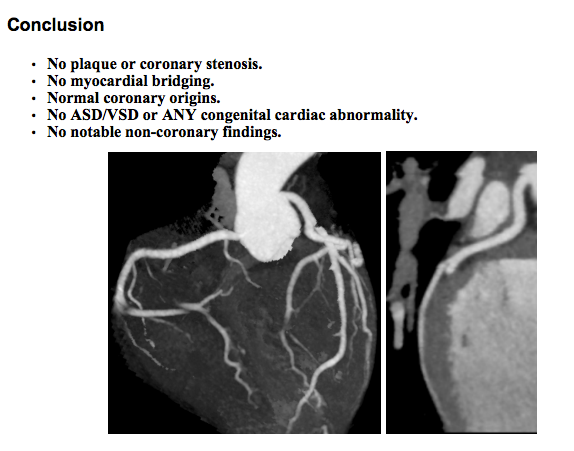 Integrations with CT scanners for coronary calcium score results and capture tools to add images to reports allows for quick report creation. Risk scoring is an integral part of cardiac patient care. 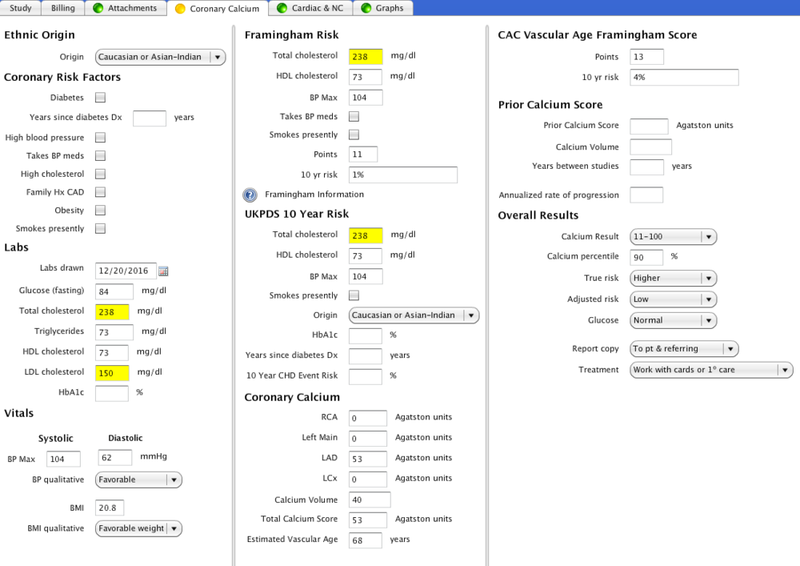 EncaptureMD's CT/MR modality reports have built-in Framingham, UKPDS and CAC risk assessment tools that utilize raw data input (lab values, coronary risk factors, etc) to quantify coronary artery disease risk factors. Our CT Angio application creates the clinical report including scanner settings, patient risk factors and risk scoring, allows for the easy capture and inclusion of images from PACS and easily generates conclusions.